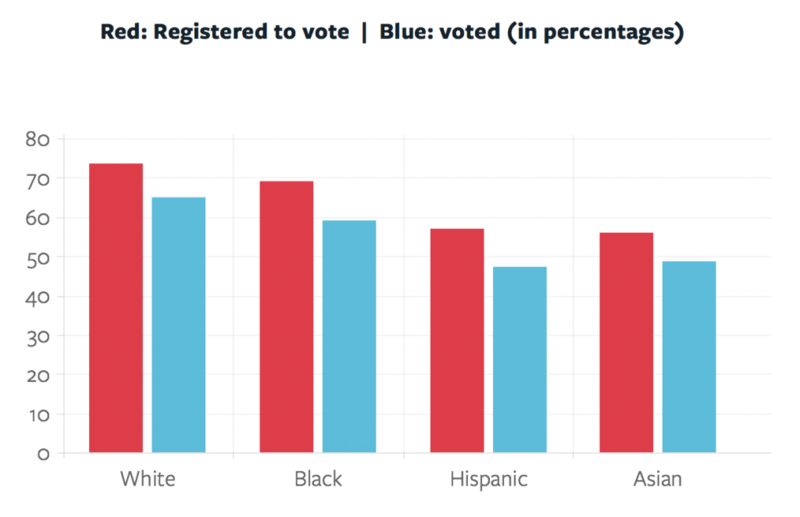 There’s a simple answer to why we register voters: the more voters we register, the more voters we can turnout on Election Day. But voter registration is also about ensuring that every American can be an active participant in our democracy. Today’s racist voting laws come masked with other names. Some states require certain forms of ID to be able to register to vote. In many states, you need to already have a driver’s license or state ID to register to vote. Many states also purge citizens with felony convictions from the voting rolls – and then never let them back on. These policies disproportionately impact people of color, who are more likely to be arrested for low-level felony charges. Today, one out of every 13 African-Americans of voting age cannot vote because of these policies. You can read more about voter suppression laws in our guide Electoral Politics 101.